A site-specific fiber installation by American-born, Paris-based artist Sheila Hicks will soon transform the Nasher Garden. The Nasher Sculpture Center has announced the eponymous exhibition will be on view from May 11 to Aug. 25. Mark your calendar: Hicks also will speak in conversation with art historian Tyler Green, host of the podcast ‘Modern Art Notes,’ in a live recording as part of the Nasher’s 360 Speaker Series at 11 a.m. May 11. 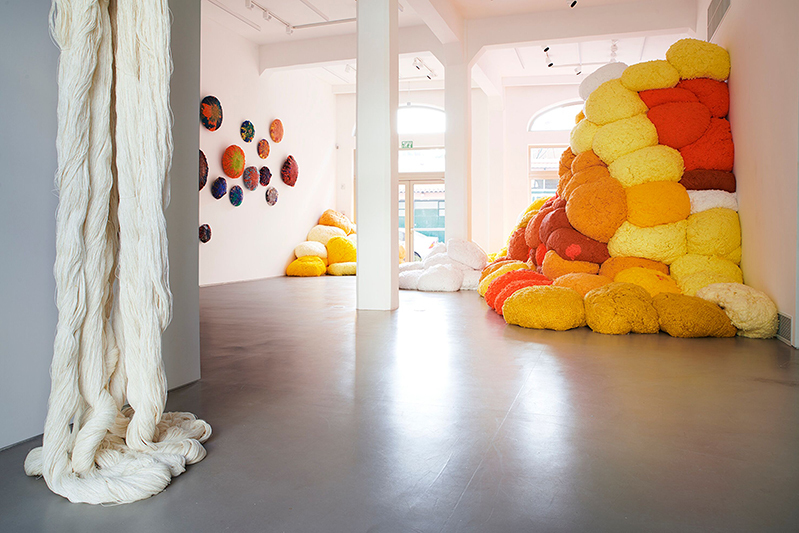 Hicks has been working almost exclusively with fiber and textiles throughout her career. 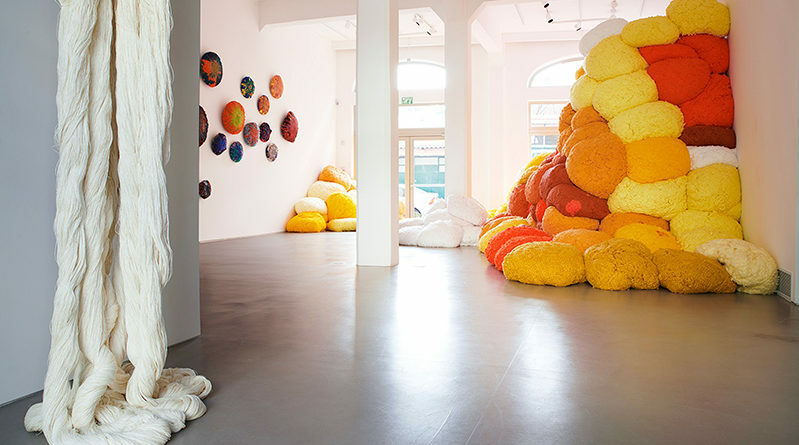 Her sculptures and installations transform thread and fiber into entire environments that reflect her formalist training with their emphasis on color, form, and line. Hicks work draws from traditions of weaving, architecture, fashion, and her personal experiences of living, working, and traveling across the globe. “We greatly anticipate the imaginative ways that [Hick’s] vibrant work will engage with the architecture of the museum, inviting our audiences to have an entirely new experience of the spaces both inside and outside the building,” said director Jeremy Strick. For her exhibition at the Nasher, Hicks artwork will be used to invite viewers to consider the relationships between outside and inside, high art and craft, latency and activity, form and anti-form. Hicks will create a new, site-specific installation in the garden—a sweeping gesture spanning portions of the outdoor space. 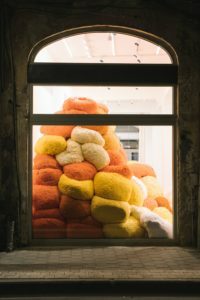 In the Lower Level Gallery, Hicks will install recent fiber sculptures, from bundles of brightly-colored pillow forms, stacked and pressed against the walls and windows, to dangling cords scrawling along the surfaces.